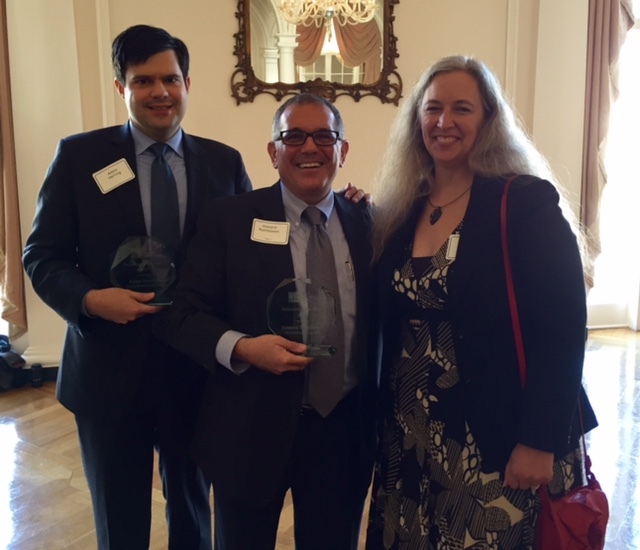 On October 16, 2015, Howard D. Rothbloom and Adam D. Herring were recognized for their pro bono work by being awarded the Atlanta Legal Aid Society’s 2015 Volunteers of the Year award at the Atlanta Bar Association’s annual Celebrating Service luncheon at the Piedmont Driving Club. Atlanta Legal Aid, founded in 1924, helps low income people in the metro Atlanta area meet their basic needs by providing much-needed free civil legal services. Since 1986, our top-rated attorneys have represented metro Atlanta individuals and businesses seeking relief from their burdensome debts in Chapter 7, Chapter 11, and Chapter 13 bankruptcy cases as well as in related litigation through thoughtful counseling, careful planning, and creative lawyering. Contact us today to discuss the options available to you.